Since the revelations about the extent of the US National Security Agency’s surveillance program, the responses have been swift and forthright. President Barack Obama has amended his previous scorn for his predecessor George Bush’s security overreach to now justifying government spying in the name of preventing terrorism, and says his administration has “got the balance right”. Meanwhile, whistleblower Edward Snowden has fled to Hong Kong awaiting an uncertain fate and expecting never to be able to return home to the US a free man. But, in a sense, all Snowden has done is hold up a dark mirror to a future that we are all willingly creating through our own actions online. 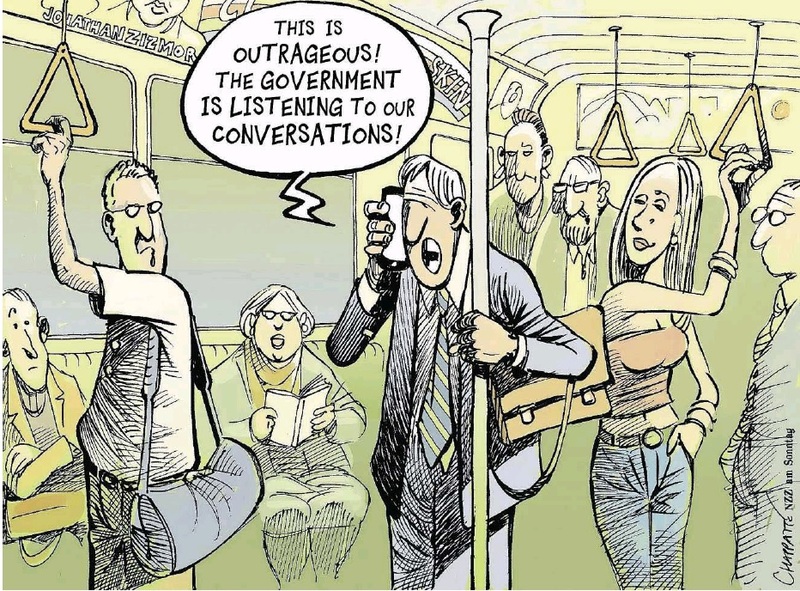 The irony that seems to have been lost in the discussion is why should citizens be alarmed or surprised that global governments (including, most likely, Australia’s) would take the opportunity to spy on our daily lives when we are so eager to voluntarily forfeit our privacy and put our lives on full public display every day through social media. While there are good grounds to criticise governments for security overreach and for spying on the online behaviour of citizens, there is also a point at which citizens need to take some responsibility for their own privacy. Increasingly we are all engaged in a daily narcissistic ritual of status updates, profile image fine-tuning and other attention-seeking exercises that are surely about drawing attention to our lives, opinions and innermost thoughts and desires. So how much can we really complain when we learn that government agencies have been using this information to spy on us? Like an episode of Kath & Kim on constant repeat, we are all out there on social media screaming “Look at me! Look at me!” and then being outraged when our lives attract attention from unwelcome quarters. We behave on social media as though we were in a small room of intimate friends – seemingly oblivious to the potential motivations of other covert audiences. Yet anyone who thinks that Google, Facebook, Twitter or any of the other plethora of social media platforms operates from an altruistic motivation has been living in a fool’s paradise, and the sooner its glass walls are shattered the better. We have known for years that these companies were out to enhance their own profits and were surely willing to collude with governments and telecommunications providers to do so. As US security expert Bruce Schneier wrote recently, it isn’t so much a problem of the internet having been penetrated by the surveillance state; it’s more that the internet has become a surveillance state. And the joke’s on us. Every new technological development brings with it more avenues for tracking our movements and purchases. Some might take comfort in the notion that they have nothing to hide, deferring to the often-quoted response from Google’s Eric Schmidt that “if you have something that you don’t want anyone to know, then maybe you shouldn’t be doing it in the first place”. But this surely misses the point and provides a far too convenient shield for ever-increasing incursions into personal privacy. Whatever happened to the presumption of innocence until proven guilty as the bedrock of democratic legal protection and freedom? The danger is not so much that we will end up in some Orwellian totalitarian surveillance state, but that governments will enjoy a kind of soft monitoring power that most citizens won’t even be aware of – until they step out of line. The Snowden whistleblower revelations should at least come as a wake-up call. We are living in a period of emerging full saturation of social media – already many of us are attached to it for most of our waking lives, but it will only get more ubiquitous while we leave the door open. Just like the way we consume media, it has become more vital than ever that we maintain a critical distance from the technologies that are constantly being foisted on us – otherwise we are merely sleepwalking into a technological dystopia with frightening potential consequences.